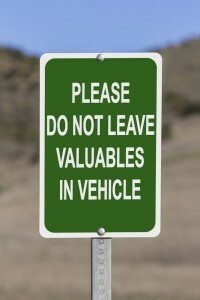 Grand Larceny Auto Theft is a Felony offense in Las Vegas, Nevada. Depending on the value of the vehicle, the penalties range, from a potential of 1-10 years in prison and a fine of up to $10,000, in addition to any restitution owed to the victim. Nevada Revised Statute “NRS” 205.228 defines Grand Larceny of a Motor Vehicle (Auto Theft) as… “Intentionally steals, takes and carries away, drives away or otherwise removes a motor vehicle owned by another person.” To be clear, if a car is taken by force such a carjacking, you will be charged with the additional felony offense of Robbery, and potentially multiple other charges, such as assault and battery, depending on the circumstances of the crime. Las Vegas Criminal Defense Attorney Michael A. Troiano will work closely with you when faced with a Felony Auto Theft charge to make sure all legal defenses are being pursued and used in your defense.